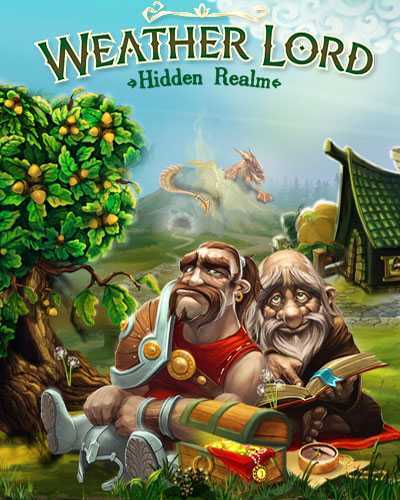 Weather Lord Hidden Realm is a time management game published by Big Fish Games for PC in 2013. Control the weather to destroy evil at jungle. The evil forces are going to takeover villages and cities with their darkness powers. It seems that nothing can stop them! Get the control of nature forces and protect cities or villages. Wherever you want, weather can be changed to stop these forces. Rain, wind, Snow and such weathers are some of player’s abilities. When you can’t defeat evil with using one of them, you can mix them to have more power. There is a lost village and no one knows where it is. You should start searching it or your powers will be lost within some days. Create main buildings for workers to have a sleep at night. Whenever the sun rises, These workers would be at your service. While they are doing their jobs, there may find some valuable thing like golds. Sell these things and use their money to own new workers. Be careful about enemies camping and never make a lazy decision. Otherwise, These creatures may harm people. There are some mission at this game and if you complete them successfully, some coins will be added to account. Also these missions are easy to do but there is a limited time for them. Time is the most important point at Weather Lord Hidden Realm. Never forget it and try to be always on time. Buildings can be upgraded to higher levels by using coins. If you’re out of coins, use resources like woods for upgrading. Weather Lord Hidden realm may not have great graphics but the gameplay is so addictive and players can enjoy some hours in it. Also this title has nice soundtracks. 0 Comments ON " Weather Lord Hidden Realm Free Download "